For some reason whenever it starts to get cold out, all I want to do is eat junk. It’s like my body is trying to store as much fat as it can for winter. As much as I love to eat donuts and pizza, sometimes I just need a good cleanse to reset my system. This is my absolute fav. 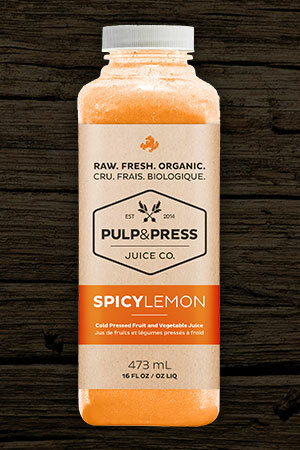 I’m not sure if any of you are familiar with cleanses, but the one I took involved drinking 5 juices a day (and as much water as I wanted) for 5 days. The 5 day cleanse is $231 for 25 juices. There is a 3 day option which is cheaper, but I was feeling ambitious. You aren’t supposed to eat anything to really detox and cleanse your organs, but I’m not going to lie, I cheated a little bit here and there. I never realized how mean I am when I’m hungry until I cleansed haha. That snickers commercial is pretty accurate… mmm snickers… wait, sorry, back to the cleanse. 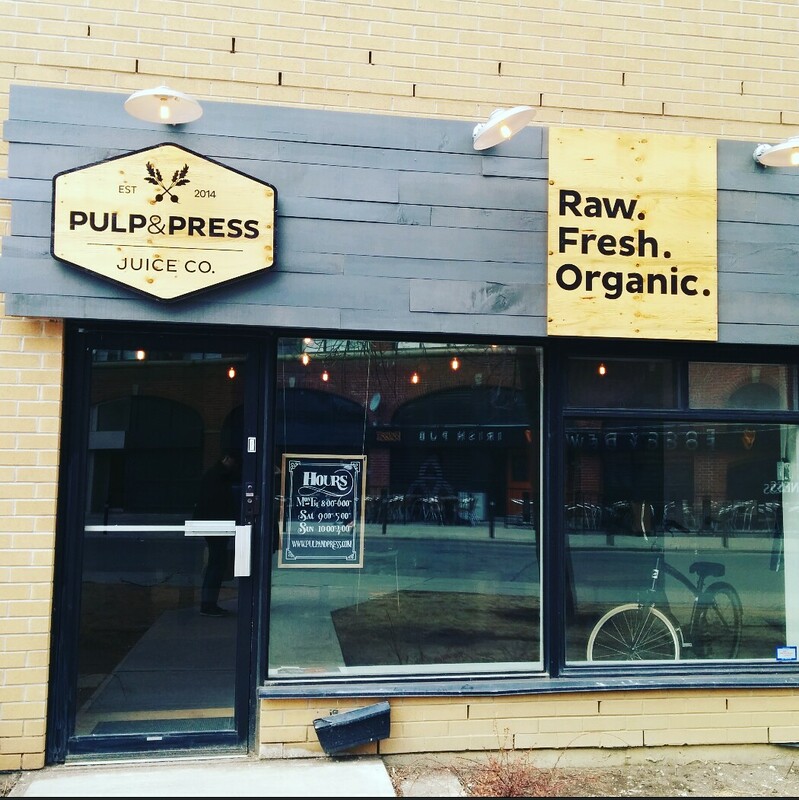 I chose the Pulp & Press (833 King St. West, Toronto) to get my juices from, for a few reasons. My husband cleansed with me, and we were both surprised by how much more energy we had. I’m not going to lie, I am not the healthiest eater in the world, so it took a couple days for my body to figure out what the hell was going on, but by day 3, I was feeling amazing. My initial goal was to reset my body and detox my organs, and I ended up losing a little weight too, so it was a win-win! Apple, cucumber, celery, spinach, kale, E3 Live & lime. Apple, ginger, lemon & turmeric. 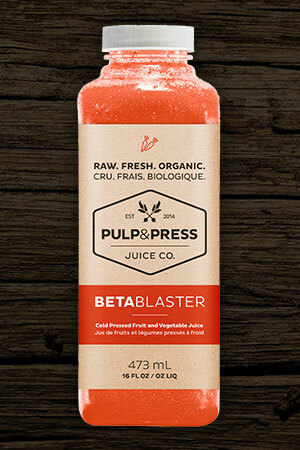 Apple, carrot, beet, ginger & lemon. Cucumber, celery, kale, swiss chard, parsley, e3 live, lemon, lime & Himalayan sea salt. 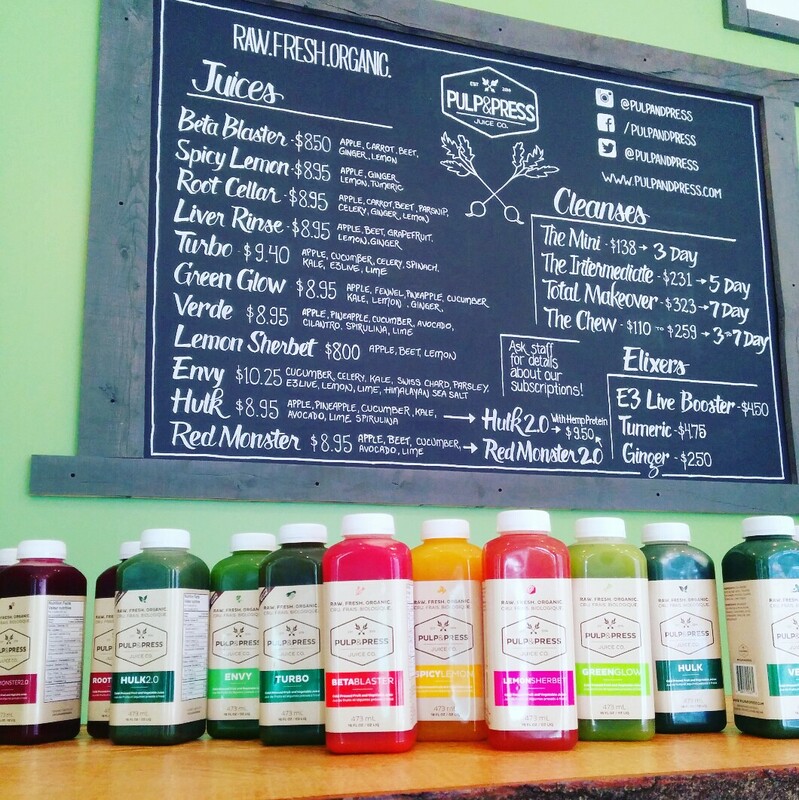 If you are interested in learning more, I suggest calling and asking what cleanse would be the right fit for you. They will be glad to help! 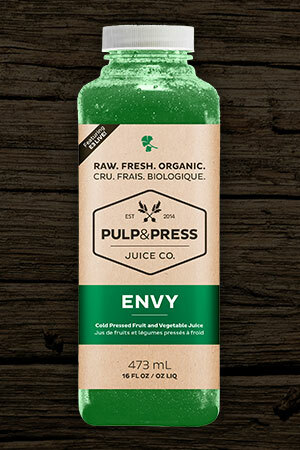 Pulp & Press juice is available through retailers across Canada.